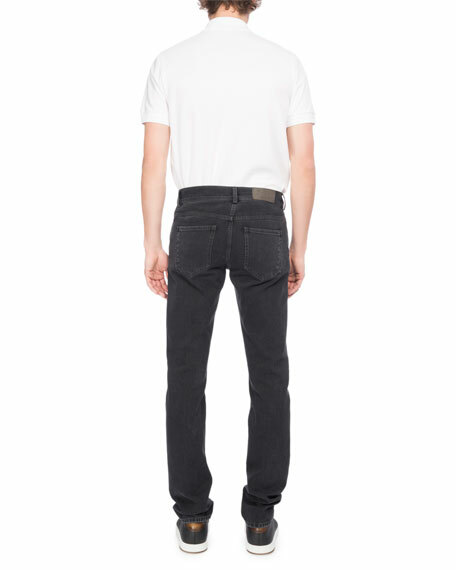 Berluti jeans in washed black denim. 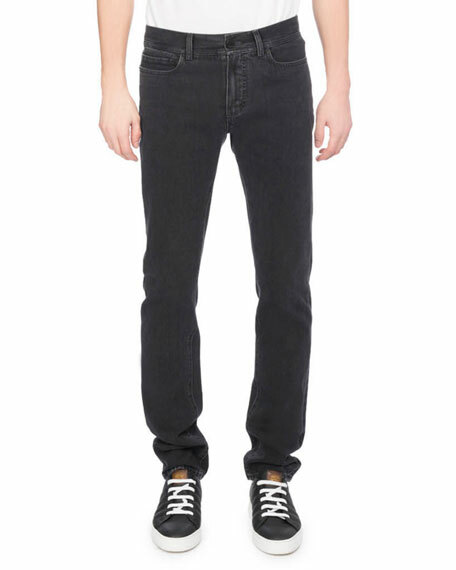 Canali jeans in dark-wash stretch-denim. Approx. measurements: 32" inseam; 44" outseam. Five-pocket style. Regular rise. Slim fit; straight legs. Cotton/spandex. 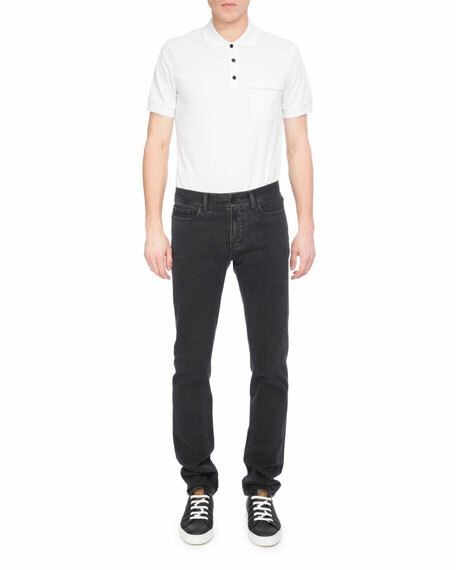 Canali jeans in dark-wash stretch-denim. Approx. measurements: 32" inseam; 44" outseam. Five-pocket style. Regular rise. Slim fit; straight legs. Cotton/spandex. Cotton/polyester lining. Machine wash. Made in Italy. Model's measurements: Height 6'1"/185cm, waist 32"/81cm, typically wears size M.